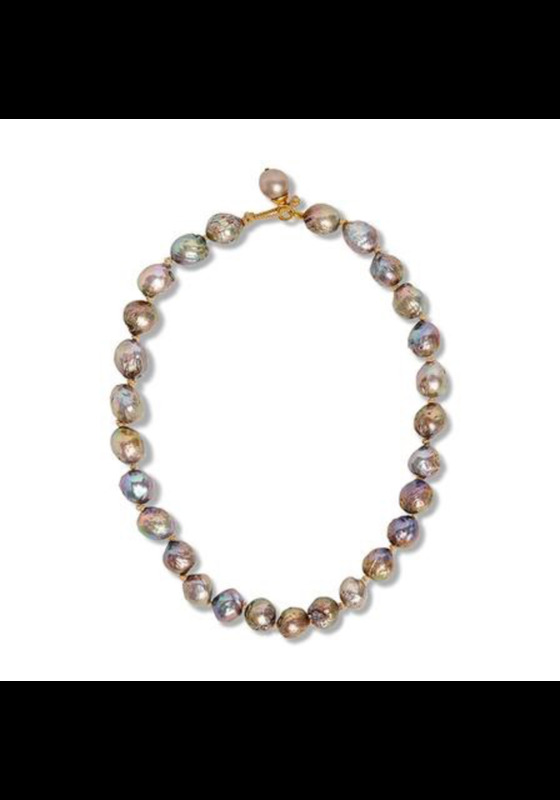 Soft, taupe-grey-blue hued natural baroque freshwater pearls hand knotted with gold Japanese cording. 17”, pearl button and loop closure. 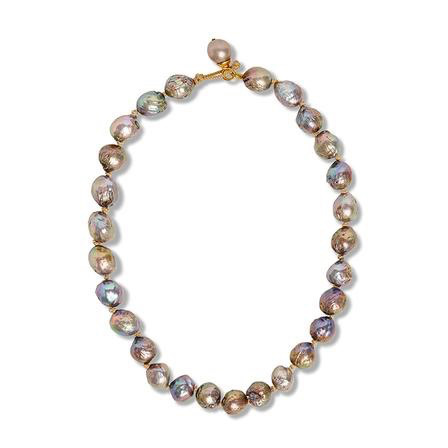 Pearls approximately 12mm, organically shaped.